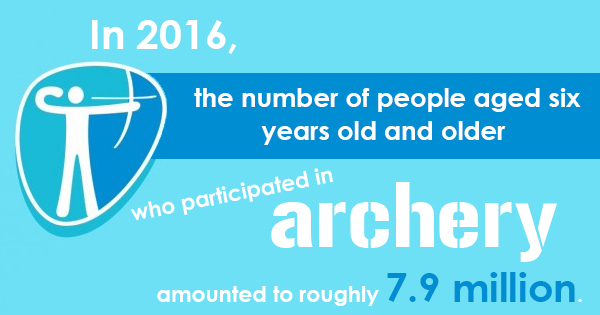 In 2016, the number of people aged six years old and older who participated in archery amounted to roughly 7.9 million. Archery is a lot of fun for people of all ages, but can be tricky to excel or even get better at. Thankfully, there are all sorts of little tips and tricks that you can do to drastically improve your archery skills -- especially your accuracy. Know your equipment -- Make sure you're doing the necessary research in order to fully understand all your archery equipment items. The only way you'll be able to master this equipment is if you are completely comfortable using it and understand it inside and out. Check your bow's timing -- This is essential with today's aggressive bow designs. If the timing is off, you could have all kinds of problems. Invest in an archery draw board or make one for yourself to see if your bow's timing is correct. Use an archery release trainer -- There are plenty of innovative archery training devices that are on the market today. You can even equip an archery app to your archery release trainer, as well as an iPhone bow mount. Practice with your sight's level while shooting -- Failure to use your bow sign's level on incline, decline, and long distance shots will cause all sorts of problems and ruin your bow's shot. If the third axis is set on your bow sight, be sure to utilize your level while shooting. Shoot the same kind of arrows -- If you're trying to improve your accuracy, you need to be using the same kind of arrows. Shoot arrows that have the same spine, same fletchings, and are cut at the same length and weigh the same so your shoot is consistent. Whether you just enjoy shooting targets in your backyard or are hoping to compete against other archers, always focus on improving your accuracy. If you want to learn more about improving your archery skills and find a quality archery release trainer device, give AccuBow a call today.